According to the success rates of numerous property owners, working with Denver property management companies offer many distinct advantages. Property management professionals that practice with the highest level of competency offer and add a significant level of value to a property owner’s investment. Managing real estate is a time-consuming process that often results in numerous challenges. By signing up with one of the Denver property management companies that are currently in practice today, you are sure to experience many successful tomorrows. In this guide, you will be introduced to the top benefits associated with Denver property management companies. The tenant screening and selection process is the foundation of your overall success as a property owner. 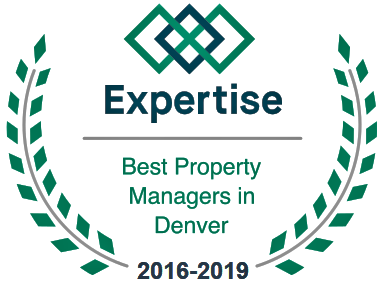 When working with one of the many Denver property management companies, you will obtain tenants that have a solid history of paying their rent on time, have a good reputation in terms of caring for the properties that they live in, are not known to cause issues, and have a tendency to occupy dwellings for a long period of time. They will recommend and oversee any and all cosmetic-based improvements that will aid in maximizing the amount of revenue that you receive. They will determine optimal pricing amounts for rent fees through their extensive knowledge of the market where your property is located, will analyze comparable information, and will utilize a vast amount and variety of tools that aid in the outline of appropriate rental rates. Today’s Denver property management rental companies will take the time to market and advertise your property in the community and the surrounding areas. As a landlord, it is a known fact that the method for obtaining rent and late fees could mean the difference between experiencing success or experiencing failure. The Denver property management companies in the area will streamline this process – to your advantage. Rental monies are not negotiable and a professional property manager will inform tenants of this fact. If the tenants fail to pay, they will take the appropriate legal measures to protect you and your investment. Property managers know, understand, and enforce all appropriate laws to your advantage. Long gone are the days where you must handle costly and time-consuming evictions. Now, a property management professional can do it for you!